You said you were gonna do it. Like I don’t get why you aren’t. So texted Michelle Carter to Conrad Roy, her 18-year-old boyfriend. And there were many other texts to follow. She goaded him to commit suicide, or at least that’s what prosecutors are alleging. And now she faces trial on an involuntary manslaughter charge. This will be an interesting trial particularly in regards to who is responsible for Conrad Roy’s death. 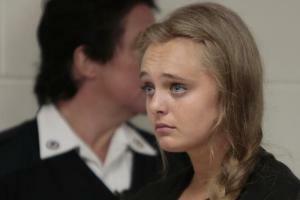 There’s no doubt it was by his own hand, but is Michelle Carter culpable because she encouraged him to commit the act? Dear Gina, I saw Jill Brennan in the library last week. She mentioned your interview with her. Fabulous. Haha, thanks Emma. Jill certainly gets out and about! Geesh, somehow I missed this post on Dr. Lyle’s site (not unusual these days). I’m so glad you reblogged.